Any chance at Window Phone 7 or 8? I've got this app loaded on my Android tablet, but honestly I don't use that thing as much as my Windows Phone. Any thoughts on porting this over to WP7 or 8? Re: Any chance at Window Phone 7 or 8? We've had a few requests for Windows Phone support over the past year or so. Not a ton, maybe 1 or 2 every couple of months. We did a "feasibility study" (i.e. : wrote a couple of small test apps) last summer to make sure it was possible (i.e. : that we could figure out how to do it) and the results were promising. So it is possible, it would just require a good bit of time and effort. Spare time has been in rather short supply around here lately. To launch into a proper port for WP7/8, we'd need to know that there was a sizeable group of students that wanted and would use the app on those platforms. Demand has been a bit too light so far, but we'd give it a shot if that changed. 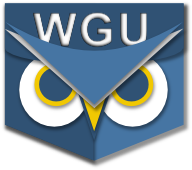 We'd also be very eager to have a WP developer (WGU student or alumni) join the DevTeam but haven't found a taker yet. The hours are long and the pay is... well, there is no pay. The apps are free! Your best bet would be to ask around in WGU (on the Community forums, Facebook, or G+) to see if you can drum up some enthusiasm for a WP7/8 port. If we get enough requests, we'll give it a go. I have the windows 8 tablet and would love to download the pocketWGU.